Company Formation process in Bangladesh is easier but need to follow some rules and laws of the country especially in case of foreign investor. Foreign Company Registration in Bangladesh is possible (100% Foreign Investment, Joint Venture, Virtual/ Branch/ Liason Office, Foundation), let’s see how they are doing business in Bangladesh and generate revenue. There is many opportunity of investment in different sectors. All government gives priority to foreign investment to start business in Bangladesh. • USD 50,000 has to deposit in terms of PI & EI Visa & inward remittance, Office expenses & so on as government rules. 9. Power of Attorney given in favour of The Law Assistant duly notarized and authenticated by the High Commission of Bangladesh in the country of origin. 11. USD 50,000 has to deposit in bank initially as rules of government of Bangladesh for inward remittance, Work Permit, Office expenses & so on. Power of Attorney favouring the legal representative duly executed. What are the conditions given from BOI (normally) in case of opening branch office in Bangladesh BUT it varies upon activities & types of company? • The company shall have to bring inward remittance of at least USD 50,000 within 2 (two) months from date of issue of permission letter as establishment cost and 6 months operational expenses. Failing which the company shall have to remit 5% additional amount for each month. Bangladesh offers generous opportunities for investment under its liberalised Industrial Policy and export-oriented, private sector-led growth strategy. All but four sectors (i.e. (1) arms and ammunition and other defence equipment and machinery, (2) forest plantation and mechanised extraction within the bounds of reserved forests, (3) production of nuclear energy, and (4) security printing and mining) are open for private investment in Bangladesh. The government’s role is that of a facilitator which helps create an enabling environment for expanding private investment, both domestic and foreign. The Board of Investment (BOI), established by the government for accelerating private investment, provides institutional support services to intending investors. Tax holiday facilities will be available for 5 or 7 years depending on the location of the industrial enterprise. For industrial enterprises located in Dhaka and Chittagong Divisions (excluding Hill Tract districts of Chittagong Division) the tax holiday facility is for 5 years while it is 7 years for locations in Khulna, Sylhet, Barisal, and Rajshahi, Divisions and the 3 Chittagong hill districts. Tax holiday facilities are provided in accordance with existing laws. The period of tax holiday will be calculated from the month of commencement of commercial production. Tax holiday certificate will be issued by NBR (National Board of Revenue) for the total period within 90 days of submission of application. * Tax exemption on royalties, technical know-how fees received by any foreign collaborator, firm, company and expert. * Exemption of income tax up to 3 years for foreign technicians employed in industries specified in the relevant schedule of the income tax ordinance. * Tax exemption on income of the private sector power generation company for 15 years from the date of commercial production. * Tax exemption on capital gains from the transfer of shares of public limited companies listed with a stock exchange. Industrial undertakings not enjoying tax holiday will enjoy accelerated depreciation allowance. Such allowance is available at the rate of 100 per cent of the cost of the machinery or plant if the industrial undertaking is set up in the areas falling within the cities of Dhaka, Narayangonj, Chittagong and Khulna and areas within a radius of 10 miles from the municipal limits of those cities. If the industrial undertaking is set up elsewhere in the country, accelerated depreciation is allowed at the rate of 80 per cent in the first year and 20 per cent in the second year. Import duty, at the rate of 5% ad valorem, is payable on capital machinery and spares imported for initial installation or BMR/BMRE of the existing industries . The value of spare parts should not, however, exceed 10% of the total C & F value of the machinery. For 100% export oriented industries, no import duty is charged in case of capital machinery and spares. However, import duty @ 5% is secured in the form of bank guarantee or an indemnity bond will be returned after installation of the machinery. Value added Tax ( Vat) is not payable for imported capital machinery and spares. * High technology products that will be either import substitute or export oriented. (a) For foreign direct investment, there is no limitation pertaining to foreign equity participation, i.e. 100 percent foreign equity is allowed. Non-resident institutional or individual investors can make portfolio investments in stock exchanges in Bangladesh. Foreign investors or companies may obtain full working loans from local banks. The terms of such loans will be determined on the basis of bank-client relationship. (b) A foreign technician employed in foreign companies will not be subjected to personal tax up to 3 (three) years , and beyond that period his/ her personal income tax payment will be governed by the existence or non-existence of agreement on avoidance of double taxation with country of citizenship. (c) Full repatriation of capital invested from foreign sources will be allowed. Similarly, profits and dividend accruing to foreign investment may be transferred in full. If foreign investors reinvest their repatriable dividends and or retained earnings, those will be treated as new investment. Foreigners employed in Bangladesh are entitled to remit up to 50 percent of their salary and will enjoy facilities for full repatriation of their savings and retirement benefits. (d) Foreign entrepreneurs are, therefore, entitled to the same facilities as domestic entrepreneurs with respect to tax holiday, payment of royalty, technical know-how fees etc. (e) The process of issuing work permits to foreign experts on the recommendation of investing foreign companies or joint ventures will operate without any hindrance or restriction. Multiple entry visa” will be issued to prospective foreign investors for 3 years. In the case of experts,” multiple entry visa” will be issued for the whole tenure of their assignments. • Citizenship by investing a minimum of US $ 500,000 or by transferring US$ 1,000,000 to any recognised financial institution ( Non-repatriable ). • Permanent residentship by investing a minimum of US$ 75,000 ( non-repatriable). • Special facilities and venture capital support will be provided to export-oriented industries under “Thrust sectors” . Thrust Sectors include Agro-based industries, Artificial flower-making, Computer software and information technology, Electronics, Frozen food, Floriculture, Gift items, Infrastructure, Jute goods, Jewellery and diamond cutting and polishing, leather, Oil and gas, Sericulture and silk industry, Stuffed toys, Textiles, Tourism. 1. Why USD 50,000 is required in terms of Foreign Investment in Bangladesh ? As rules of government , Foreign Investors have to deposit minimum USD 50,000 in terms of inward remittance, business Visa, foreign employment Visa, official expenses & other. 2. Do the Foreign Branch office is Tax exampted or do not ? Yes, Foreign Branch/ Representative/ Liason office is out of Tax Payer in Bangladesh but they need to submit Tax return ONLY, yearly. 3. What is Encashment certificate? Is is necessary to incorporate the foreign company (100 own/ JV) ? Yes. Encashment certificate is required to incorporate the foreign company in Bangladesh. Encashment certificate is issued by bank against PAID UP/ INVESTMENT amount of the company. 4. What is the ratio of man power of Foreign Company (100% own, JV, Branch office) ? 1 : 5 , mean One Foreign Employee is equal of Five local employees. 5. Is BOI permission required to start foreign business in Bangladesh? No. it is not required always. BOI permission is required for PI & E Visa, remittance & others. But in case of Joint Venture (JV) company foreign investors can start business by incorporation certificate & Trade License. 6. Can expatriate transfer the profit to the mother / own country from Bangladesh ? Yes, they can do so by the approval of Bangladesh Bank. 7. How longer takes time to complete all procedure of company formation? Except branch/ rep/ liason office it takes almost 30 days to complete all procedure. Because all foreign applications are placed before the meeting of Board of Investment which usually held once in a month. All applications for permission of foreign branch office are placed before the meeting of BOI with all required documents for approval. 8. How longer will be allowed to pay the amount of USD 50,000 after permission of Branch Office? Almost 2 (two) months. If failed to bring the said amount in the period the applicants have to carry extra charge 5 % each month. 9. Can branch office transfer the profit in mother country? No. branch/ rep/ liason offices are not allowed to transfer any profit & branch offices are not allowed to do business in Bangladesh. 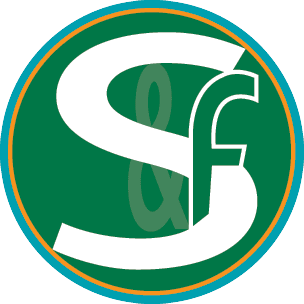 S & F Consulting Firm Limited. Foreign Company Registration Procedure in Bangladesh | Company Secretary-Bangladesh.